Union Cup is Europe's biggest LGBT+ inclusive rugby tournament. 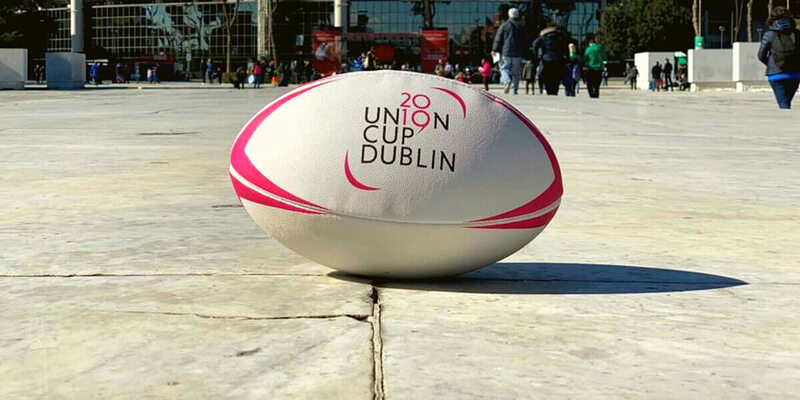 The two-day festival of rugby will be held this June 7th-9th, at Dublin's DCU with an expected 45 teams from 15 countries to participate, making it the biggest Union Cup to date. Union Cup Dublin will host a dedicated women's tournament for the first time, with teams competing for the Union Cup Women's Cup. As an inclusive tournament, both IGR and non IGR teams and players are welcomed to this inaugural tournament. Union Cup is a biennial LGBT+ inclusive rugby tournament. The aim is to make sporting accessible for LGBT individuals to promote health and well-being through physical activity. The inaugural Union Cup was hosted in 2005 and was a tournament between 7 teams. It has since grown to include over an anticipated 45 teams in 2019. Host team, Emerald Warriors, won the bid to host the tournament in 2017.